It's not my fault! I've been telling you ALL week... avoid, Avoid, AVOID! 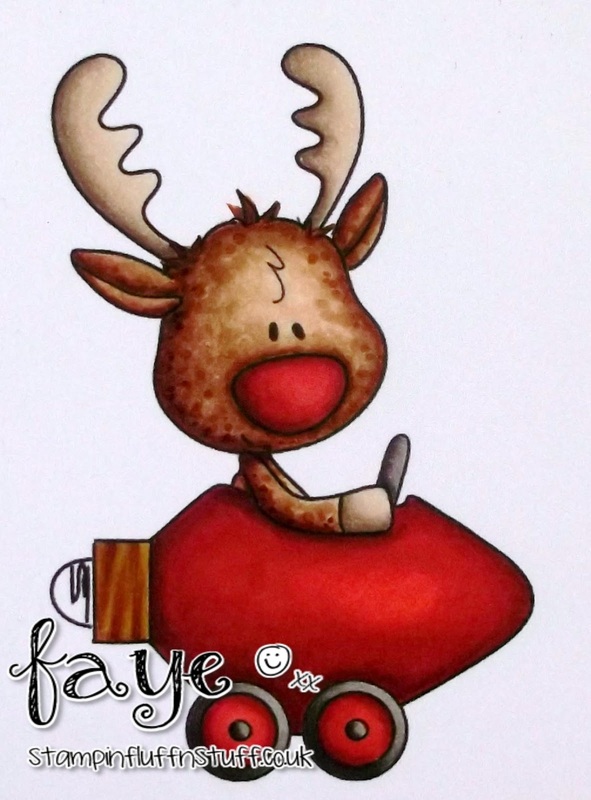 But you keep coming back, and now, behold, here is Rodney's Ride, sitting happily in my ATC Journal, and you want him. You want him big time. Don't come by tomorrow. I say, DON'T stop by tomorrow! Love that sweet image, Faye and your AMAZING colouring! I am wondering though, do you need a license to drive a bauble? You're so right. . I WANT. And if he was in digi.. I'd get! Have they stopped doing digi form? I got s Rodney last year in digi. . Love him! And of course LOVE your Rodney! What a cutie Rodney is, and now I'm wanting to start an ATC journal too!! 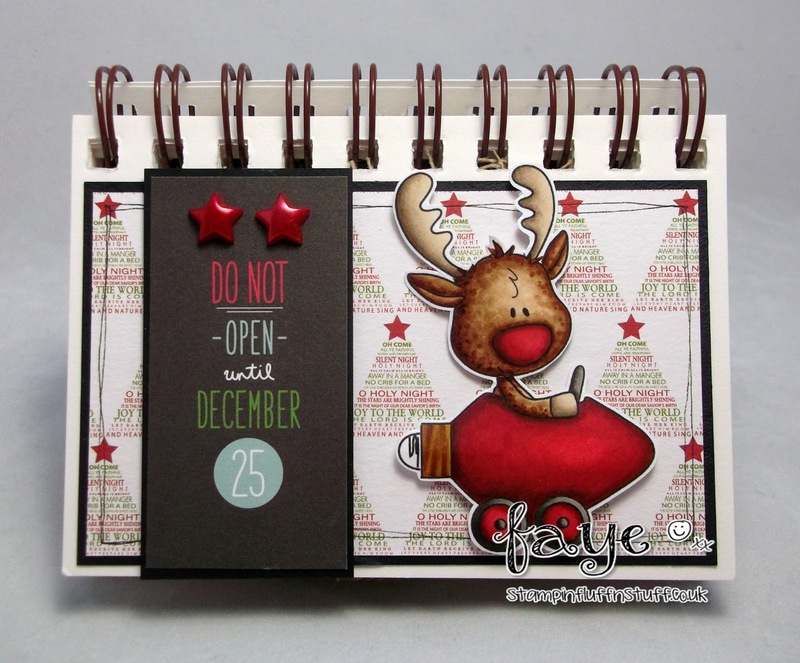 You sure is tempting us with this cuuute reindeer! Definitely considering getting this one! Fab page! Awwwww he's totally adorable and your colouring is amazing! This is most definitely one of those 'c' cards. Hugs Muver. Wow! Yes, I keep stopping by even though you tell me not to. I can't help myself. Your coloring and cards are delightful. My only regret is that this appears to not be a digital image and that makes me so sad. Would have loved to have colored him for myself. Great work! WOW how COOL is this Card! Looooooove it! I really was about to leave but I was distracted by further serious cuteness! Lovely!! !